Well that’s how I feel about Hey Music Lover. Except there’s a 23 year gap between buying this record and finding someone else who loved it as much as I do. And thanks to YouTube I now realise there are quite a few of us. But that’s not so bad really. It just proves I was right all along. 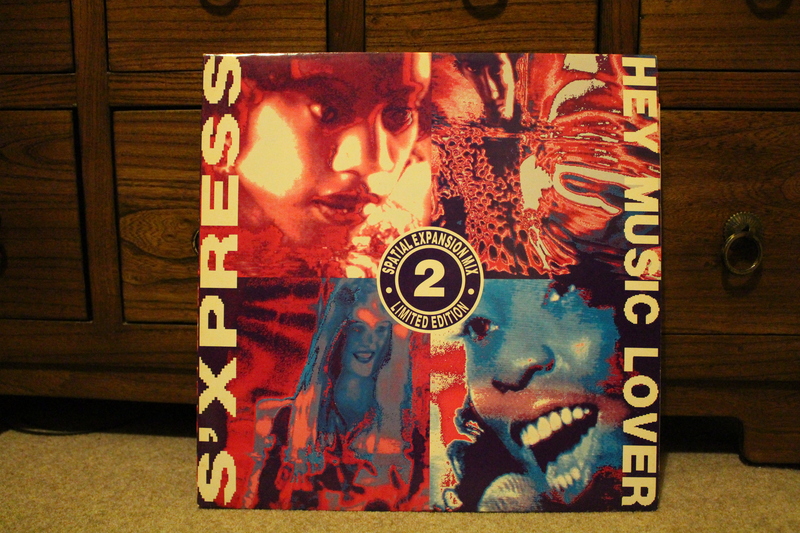 Hey Music Lover was S’Xpress’ third single, a very radio friendly follow up to Theme From… and Superfly Guy and continuing their nod to Sly and the Family Stone, which even in 1989 felt impossibly cool and retro. While the first two singles are marvellous in their own right (and I’ll probably get to those at some point int he future) Hey Music Lover is just an out and out celebration. A record that makes you smile, that wills you onto the dance floor. 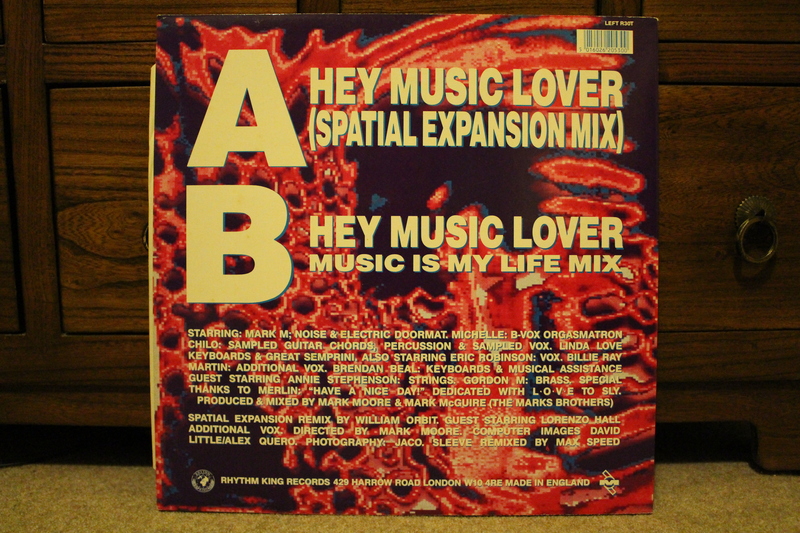 But what really lifts it above the competition is William Orbit’s Spatial Expansion Mix. Orbit knows his way round a dance remix (see my earlier post on his version of Kraftwerk’s Radioactivity). He resists the temptation to throw everything recognisable out and “make it his own” like Aphex Twin but he bends, twists, pulls and pushes all the elements into something new, full of surprises but still familiar. Like the 303s that dominate this mix, I’m burbling. Listen to it. All the way through. As loud as you can. And read the You Tube comments. They probably say it better than I can. This entry was posted in 1980's, Art of the 12" Single and tagged 12 inch single, 1980s, kraftwerk, radioactivity, remix, s express, Vinyl, william orbit. Bookmark the permalink. OMG, I remember this song! Had the first S’Xpress album on tape. It’s hard to believe that it was first released 25 years ago! Still sounds fresh to me. Every once in a while I’d have this song as a tiny brief ear worm: “Hey, music lover! L-O-V-E…” And I couldn’t remember who sang it, but the minute I saw your post it all came flooding back.